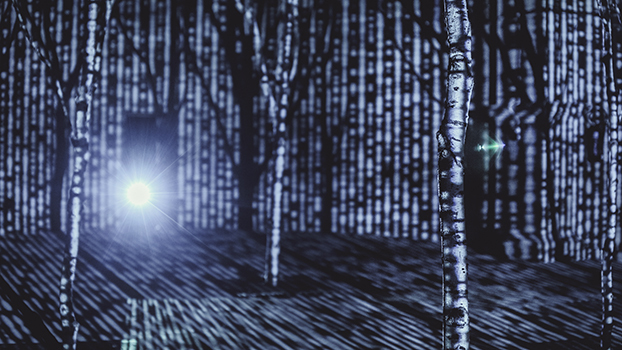 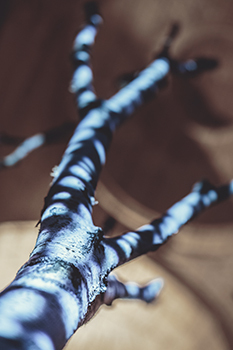 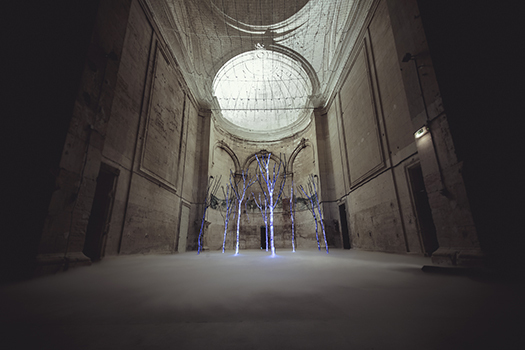 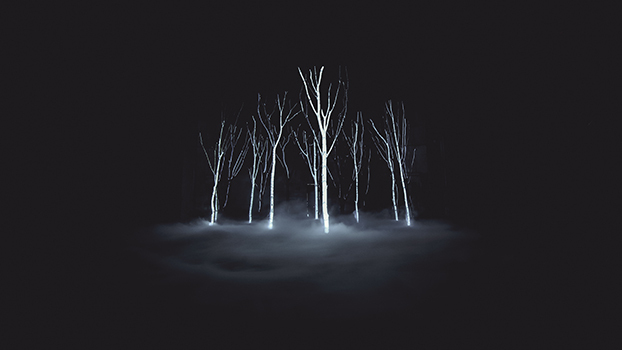 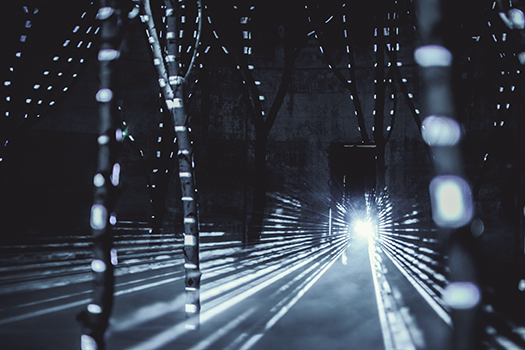 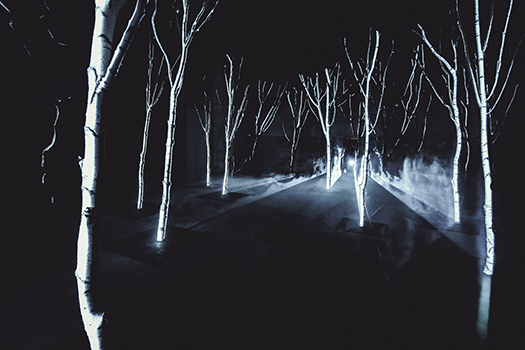 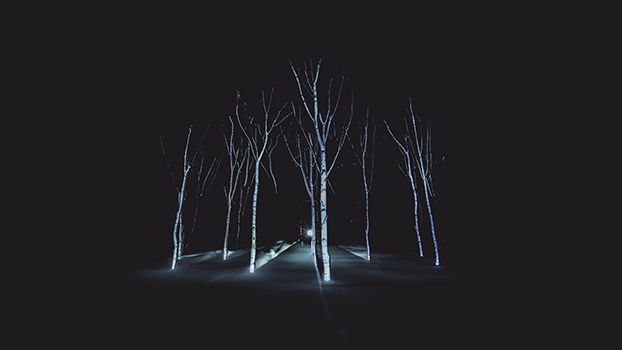 Numen is an installation that stages a mysterious shrine of trees in the Priory St Pierre de Pont St Esprit. 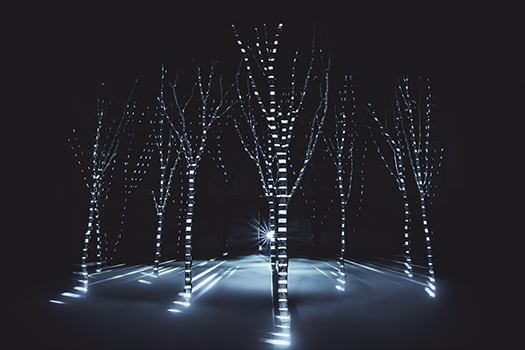 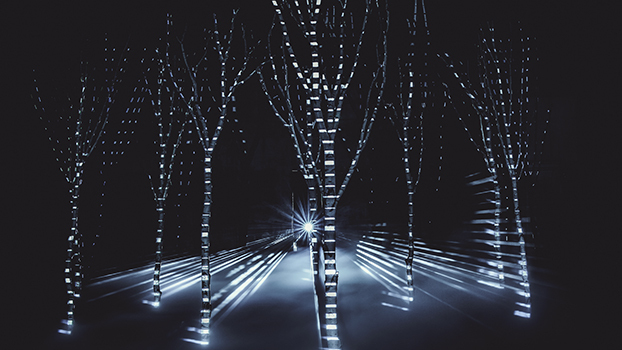 These trees are traversed by luminous waves that symbolize their sacredness. 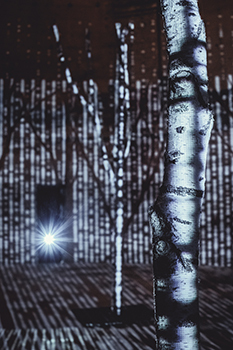 Between the walls, the sounds of the forest resonate and the echo of a magical song.